How to Engage Your Instagram Audience with Cinemagraphs! 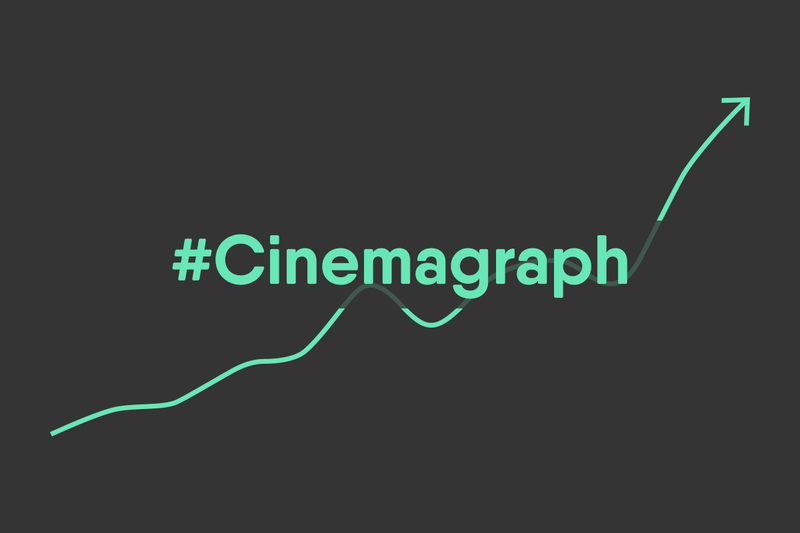 Cinemagraph posts on Instagram are growing exponentially. Global brands are getting in on the action. Check out these 5 essential tips on how to maximize the impact of your cinemagraphs on Instagram! Good news for advertisers and marketers: it’s now easier than ever before to wow social media users with cinemagraphs. In the last 18 months almost all major social media platforms have made it possible to share “living photographs”. Looping profile images were recently introduced to facebook, GIFs on Twitter and cinematic pins on Pinterest. But it was Instagram which lead the way back in February 2015, when its looping video function was revealed to the world. Consequently Instagram has become the natural home and the largest community for cinemagraphs. Since the introduction of looping videos on the world’s largest photo-sharing platform in February 2015, the number of posts tagged #cinemagraph have increased by a factor of nearly 10x (see diagram below). The number of cinemagraph posts on Instagram have grown tenfold in the last 12 months. In March of this year (2016), Instagram users posted almost 3500 cinemagraph posts, compared to roughly 360 in March of 2015. Unsurprisingly some of the world’s biggest brands are getting in on the action and have successfully run cinemagraph campaigns – Coca-Cola, Lufthansa and American Apparel to name just a few. Make sure the moving element is clearly visible. Keep in mind most Instagram users will see your cinemagraph on relatively small screens. The human eye is programmed to detect movement, but if the moving element is too subtle, the cinemagraph will lose its desired effect. They say you have less than a second to capture the user’s attention on Instagram. Posting a cinemagraph in which movement begins instantly will increase your chances of engaging your audience and prevent your cinemagraph from being swiped. 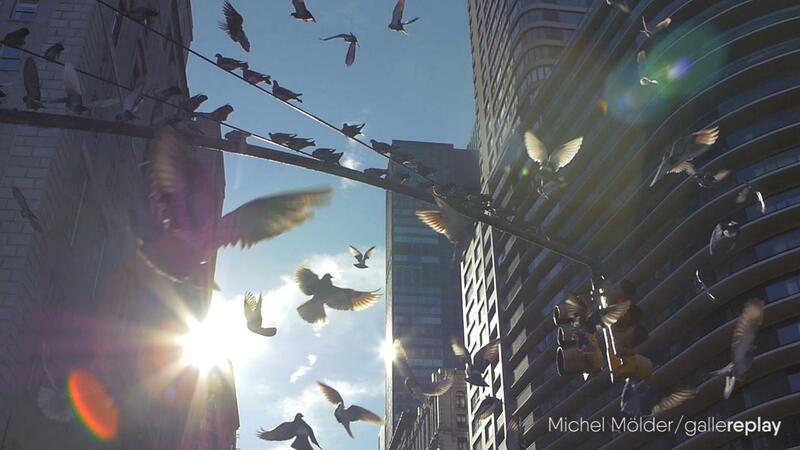 Cinemagraphs are meant to give the impression of an eternal movement. Therefore a perfect loop is crucial. If a hard cut or dissolve is too apparent, it can disrupt the experience and ruin the illusion. Also keep an eye out for irritating black/white frames which occasionally sneak into cinemagraphs as a result of Instagram’s video compression. Cinemagraphs are most effective when they contain both frozen and moving elements (see above). Don’t be afraid to play with a slightly surreal look and feel, for example by freezing birds in the sky or drops of rain in the air while letting other elements move. Take full advantage of the wow effect cinemagraphs can deliver. Generic stock imagery no longer has much of an impact on audiences. Especially not on Instagrammers, many of whom cherish artistic visuals and the principles of photography. Be creative, daring and bold and your courage will be rewarded! Did you get all that? Awesome, then you’re all set for your first cinemagraph campaign! Well…almost – you still need a great cinemagraph. Our collection of premium quality stock cinemagraphs is a great place to start. Happy browsing! I loved photography until the moment I saw a cinemagraph for the first time. That infinite motion is universal and a bit mystical... it's life.